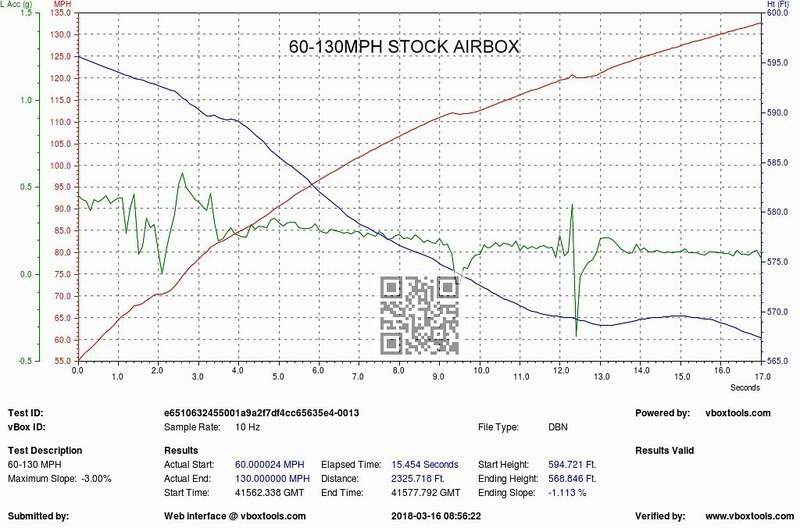 We also carried out road testing using a Vbox unit to record the acceleration from 60-130mph (also 100-200Km/h). Testing was conducted on the same stretch of road - again on the same day to keep variables minimum. 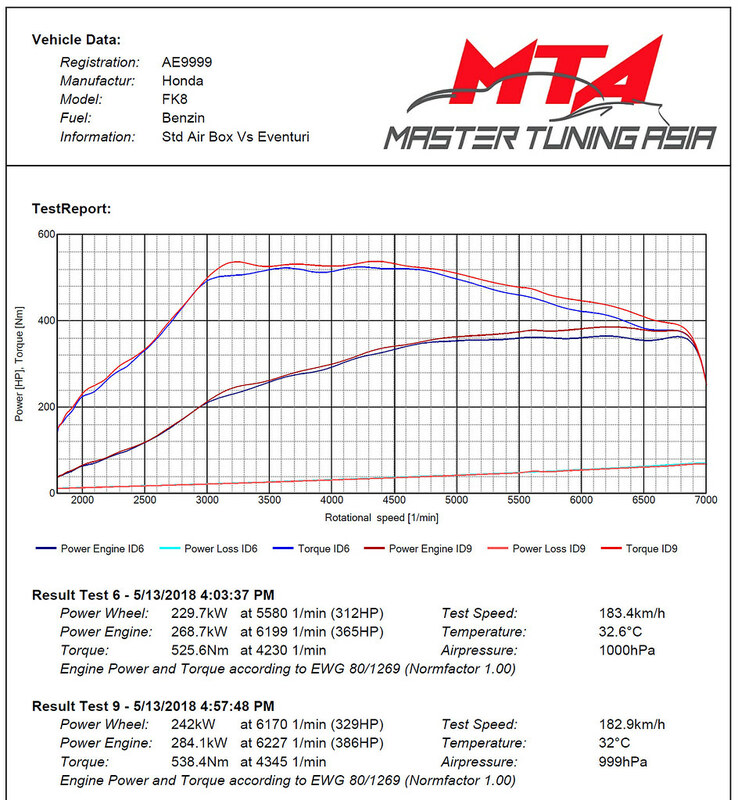 Results show that with just the intake added, the acceleration times from 60-130mph and also 100-200Km/h reduced by approximately 1.2 seconds which is a significant change at such speeds. The enclosure has been designed to make the most effective use of the volume given when removing the OEM airbox. 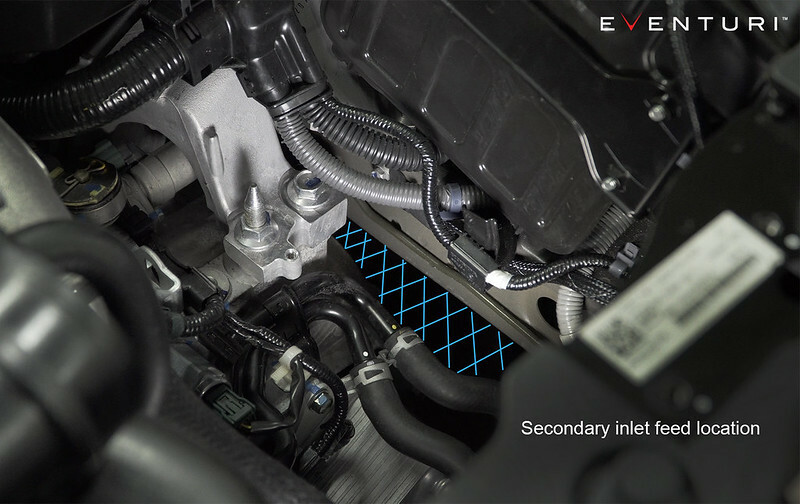 It shields the filter from the multiple sources of heat in the engine bay. The most direct source is the radiator and fan which pushes a stream of hot air directly into the intake area. 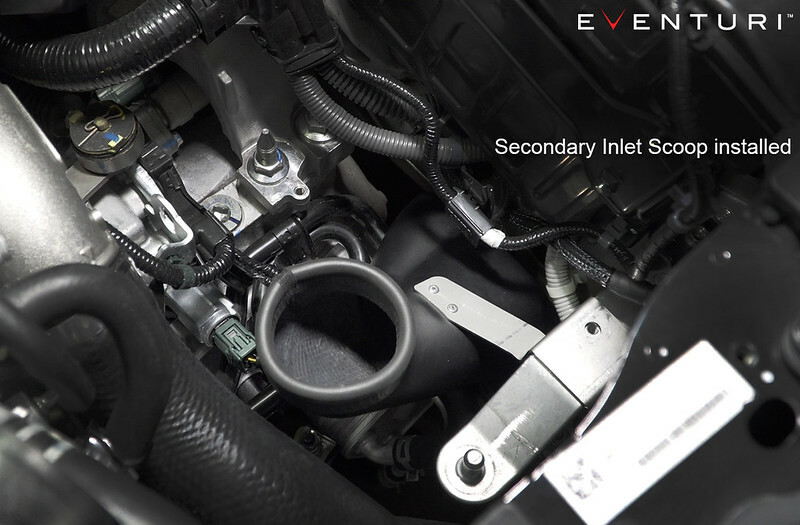 The other significant heat sources are the turbo and downpipe which sit next to the intake area and once the engine is up to operating temperatures, the engine bay becomes quickly heat soaked. 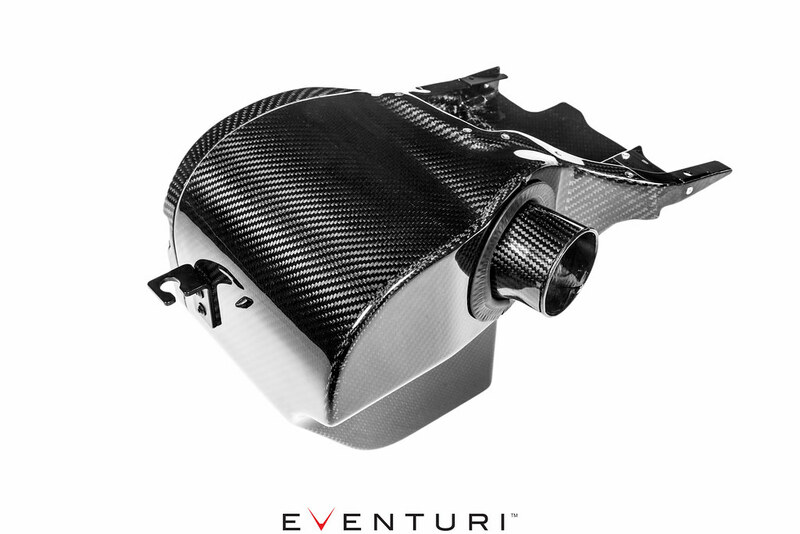 All these heat sources require a complete airbox system as shielding - a simple cone and heat shield just cannot do the same job. During development we tested open filters with heat shielding and the inlet temperatures increased significantly causing a loss of power. The airbox prevents these heat sources from adversely affecting the cone filter. 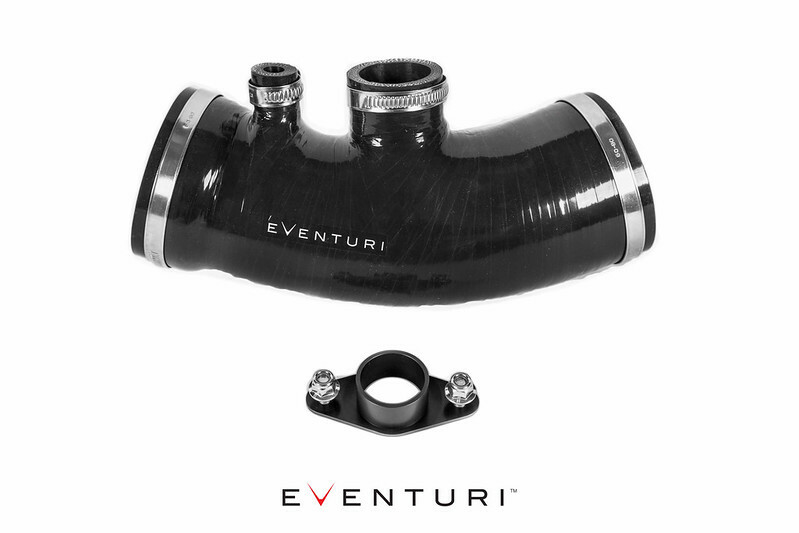 To connect our cone filter to the stock turbo pipe, we designed a tube with an integrated MAF sensor mount and an innovative Venturi stack matched to the inner diameter of the filter neck. This curvature allows the airflow to remain laminar as it goes through the filter and enters the tubing. This replaces the stock flexible rubber tube which has several deep ridges and creates turbulence in the flow path. To maintain a degree of flexibility - the tube is independent of the airbox enclosure and is able to move within the airbox, which relieves any stresses from the engine movements. 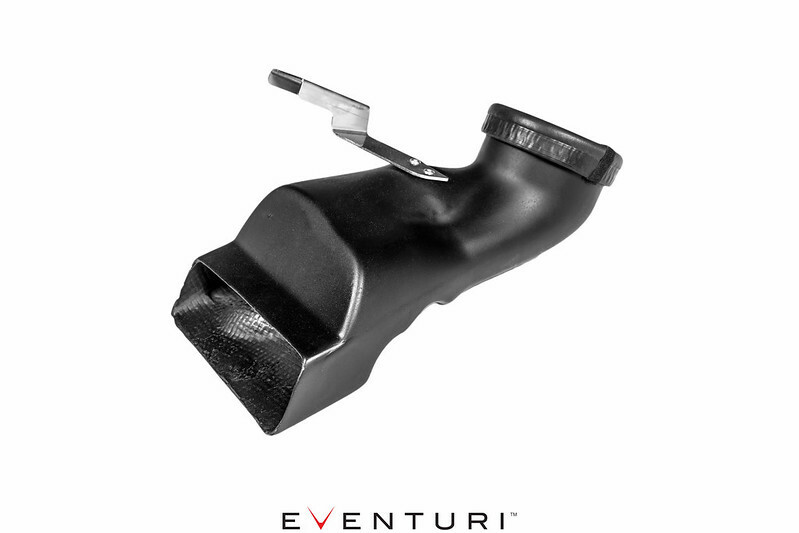 The Eventuri tube design results in an aerodynamically efficient flow path from the filter to the turbo allowing the turbo to generate boost more effectively and reduce lag. 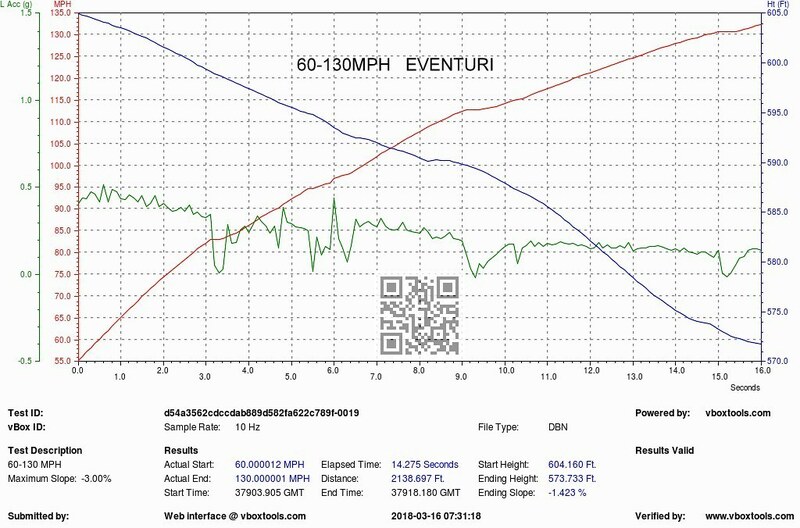 On the road this is noticeable with the car having a sharper and more eager throttle response as boost is generated quicker. 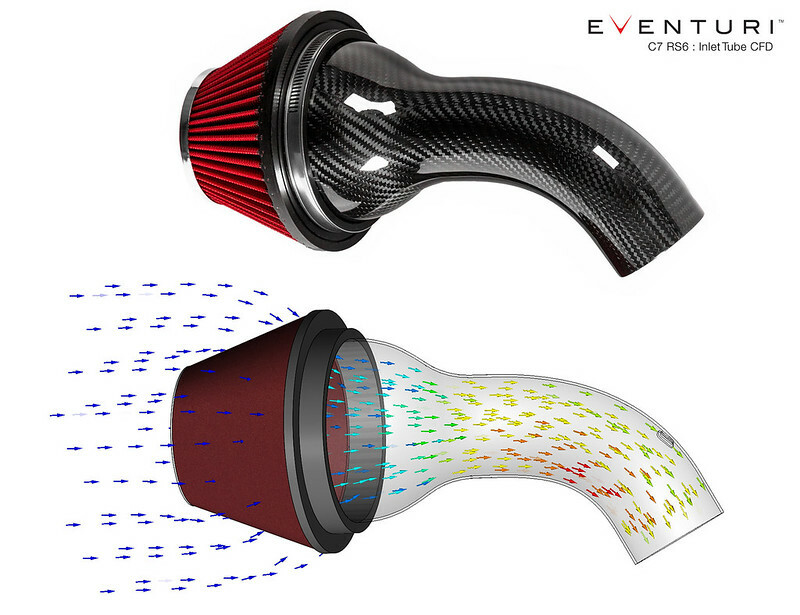 As part of our R&D process we carry out flow simulations through our intake systems to ensure that our initial concepts and calculations are reasonable. 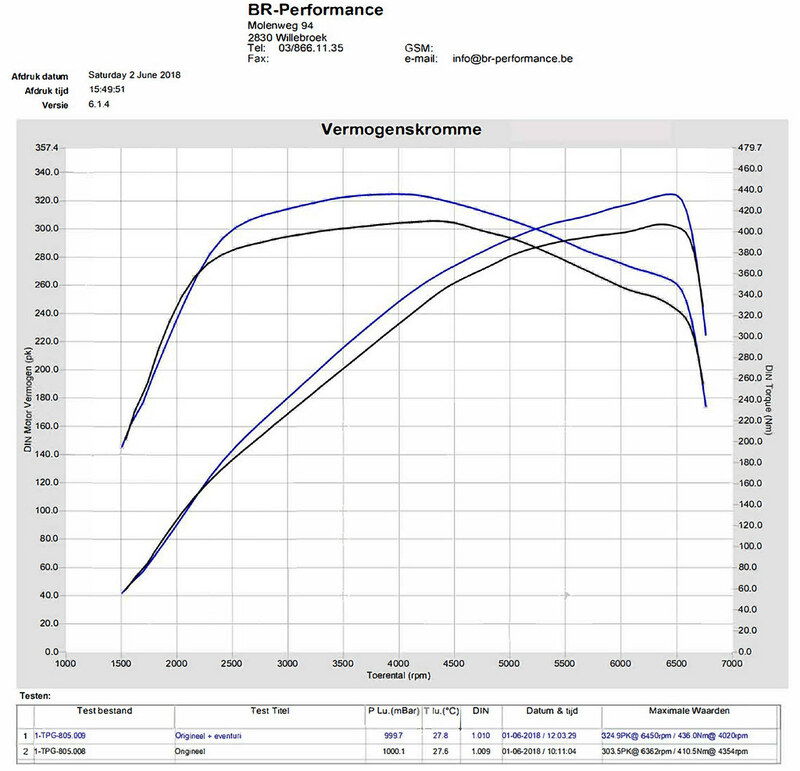 The simulation also helps us to further optimise the system for smoother airflow where possible. The flow simulation through a single tube shows an increase in velocity from the filter to the outlet - which is expected as the cross sectional area reduces. It also shows the smooth transition between the filter and tube with the Venturi stack allowing the airflow to narrow down while remaining laminar in nature. 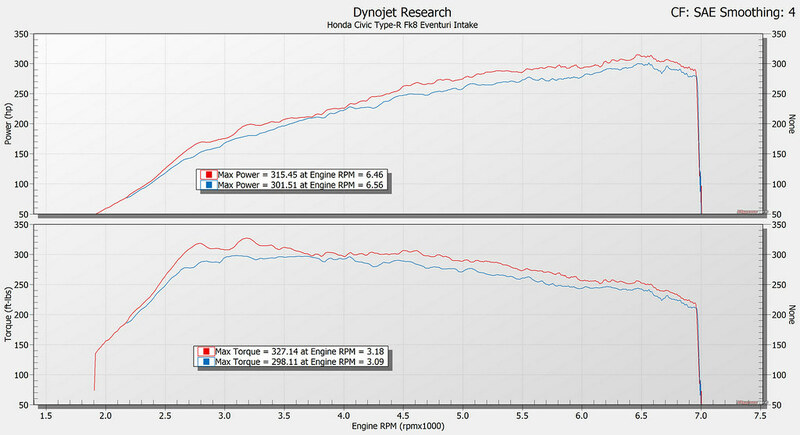 To de-restrict the turbo we had to increase the area through which it can draw air from. The stock opening behind the bumper simply was not large enough at approximately 35cm^2 so we added a second feed in the form of this scoop which seals against the base of the airbox and opens up in the inner wing area which is away from the heat sources of the engine. 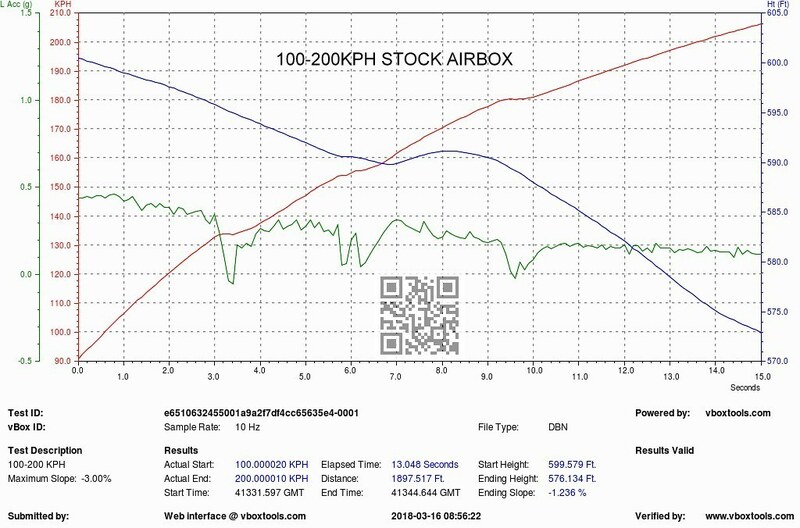 This adds an extra 28cm^2 cross sectional area from which the turbo can draw air from and testing showed that this was significant enough to improve the overall engine performance. 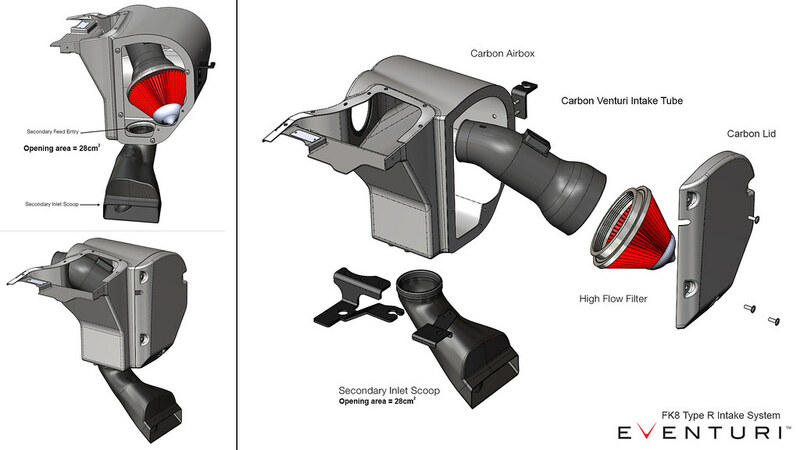 The diagrams below show how the scoop and airbox come together once installed. The final component is our new silicon hose which replaces the OEM hose and breather assembly all the way to the alloy turbo tube. 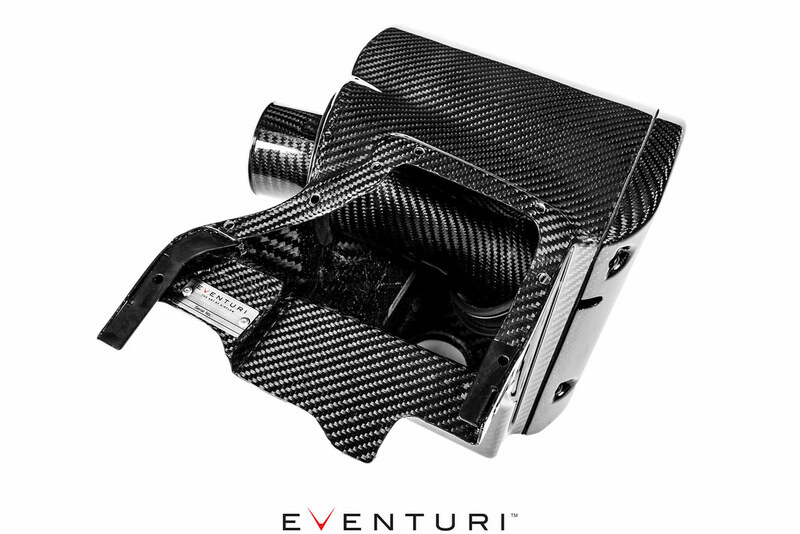 The hose removes all the interfaces between the carbon intake and the metal turbo tube. Furthermore we have incorporated an internal step which mates to the OEM metal tube. This eliminates the exposed edge of the metal tube which is exposed with other aftermarket silicon hoses. 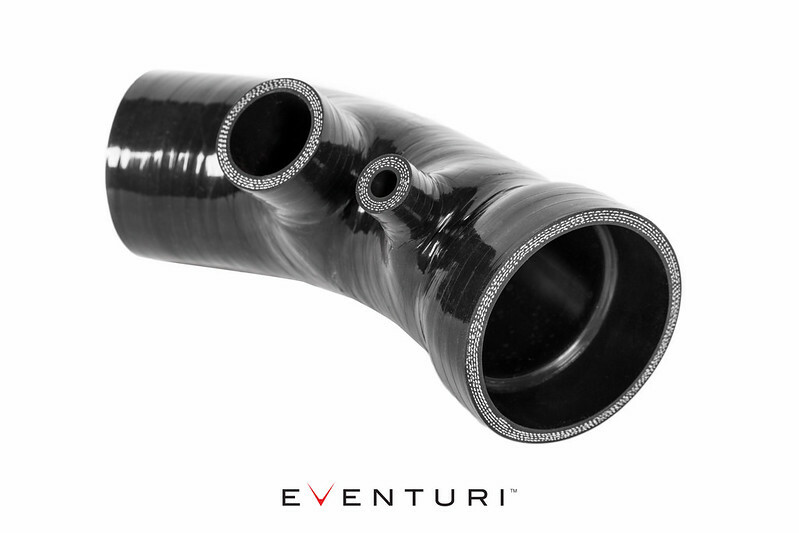 This silicon hose is the final part of the intake and allows for smooth airflow from the intake to the turbo tube. 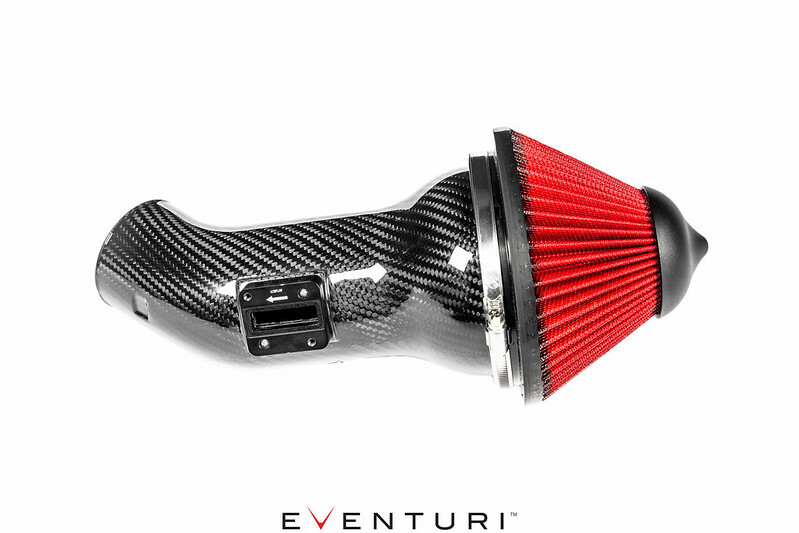 With all components assembled the intake is able to provide a derestricted source of airflow to the turbo with inlet temperatures kept down to a minimum. 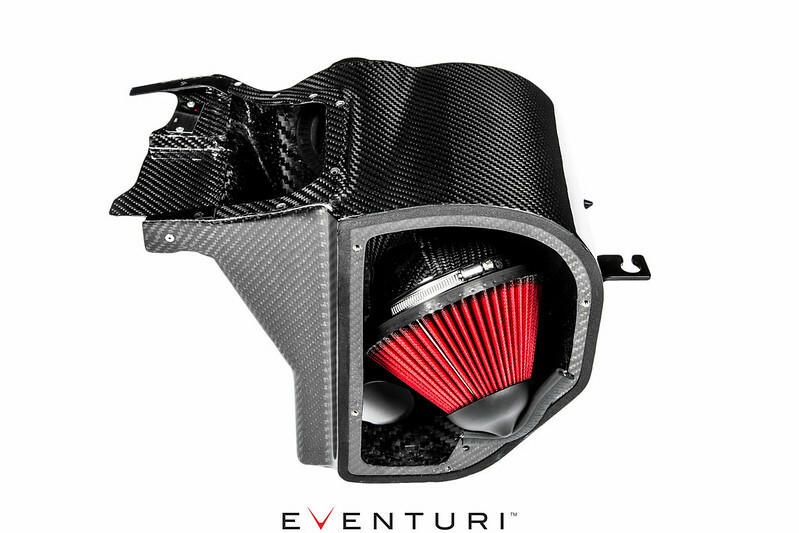 Furthermore with the airflow being smooth - the turbo is able to function more efficiently and therefore the engine produces more power.